Popular historic sites such as St. Mark's Square and St Mark's Campanile are in your itinerary. You'll explore the less-touristy side of things at Peggy Guggenheim Collection and Basilica di Sant’Antonio - Basilica del Santo. Step out of Venice to go to Padua and see Scrovegni Chapel, which is approximately 42 minutes away. There's lots more to do: contemplate the waterfront views at Canal Grande, admire the landmark architecture of Doges' Palace, examine the collection at Museo Ebraico di Venezia, and admire the masterpieces at Museo Correr. To find where to stay, reviews, photos, and other tourist information, you can read our Venice vacation planner. New York City, USA to Venice is an approximately 17.5-hour flight. Traveling from New York City to Venice, you'll lose 6 hours due to the time zone difference. In June, plan for daily highs up to 79°F, and evening lows to 64°F. Wrap up your sightseeing on the 25th (Sun) early enough to take a train to Florence. 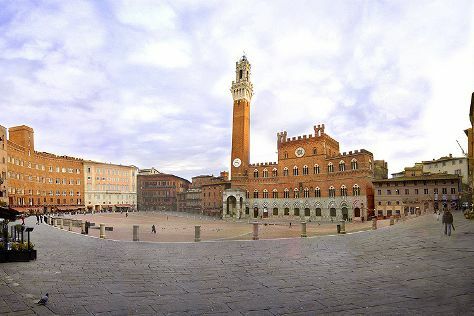 Get some historical perspective at Siena Cathedral and Piazza della Signoria. Satisfy your inner culture vulture at Piazza del Campo and Pitti Palace. There's much more to do: examine the collection at Uffizi Gallery, take in the spiritual surroundings of Cathedral of Santa Maria del Fiore, admire the striking features of The Baptistery of St. John, and take in panoramic vistas at Campanile di Giotto. To see other places to visit, photos, reviews, and more tourist information, read our Florence trip itinerary builder. Getting from Venice to Florence by train takes about 2.5 hours. Other options: drive; or fly. In June, daily temperatures in Florence can reach 84°F, while at night they dip to 61°F. Wrap up your sightseeing on the 29th (Thu) to allow time to take a train to Rome. Vatican Museums and Sistine Chapel will appeal to museum buffs. Discover out-of-the-way places like Basilica di Santa Maria Maggiore and V Lounge Beach Club. There's much more to do: steep yourself in history at Colosseum, make a trip to Roman Forum, pause for some serene contemplation at St. Peter's Basilica, and get to know the fascinating history of Piazza Navona. To see traveler tips, other places to visit, photos, and more tourist information, go to the Rome itinerary builder. You can take a train from Florence to Rome in 2 hours. Alternatively, you can drive; or do a combination of flight and train. Expect a daytime high around 83°F in June, and nighttime lows around 64°F. Wrap up your sightseeing on the 2nd (Sun) to allow time to take a train to Naples. Naples is the capital of the Italian region Campania and the third-largest municipality in Italy after Rome and Milan. On the 3rd (Mon), delve into the distant past at Gli Scavi Archeologici di Pompei, explore the historical opulence of Villa Rufolo, and then enjoy the sand and surf at Fornillo. Get ready for a full day of sightseeing on the next day: delve into the distant past at Catacombe Di San Gaudioso Napoli, contemplate in the serene atmosphere at Complesso Museale di Santa Chiara, then contemplate in the serene atmosphere at Duomo di Sant'Andrea Apostolo, and finally steep yourself in history at Villa Cimbrone Gardens. To find more things to do, traveler tips, photos, and tourist information, go to the Naples holiday planner. Traveling by train from Rome to Naples takes 1.5 hours. Alternatively, you can drive; or do a combination of train and flight. Expect a daytime high around 86°F in July, and nighttime lows around 70°F. 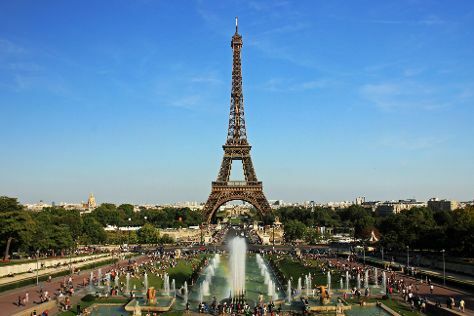 Wrap up your sightseeing by early afternoon on the 5th (Wed) to allow enough time to travel to Paris. Satisfy your inner culture vulture at Palace of Versailles and Louvre Museum. Deepen your sense of the past at sights like Cathédrale Notre-Dame de Paris and Sainte-Chapelle. There's much more to do: examine the collection at Musée d'Orsay, contemplate the long history of Arc de Triomphe, take in the spiritual surroundings of Dôme Sacre Coeur, and make a trip to Eiffel Tower. To find maps, ratings, and tourist information, refer to the Paris travel itinerary planner. Traveling by flight from Naples to Paris takes 5 hours. Alternatively, you can take a train; or drive. In July, Paris is slightly colder than Naples - with highs of 77°F and lows of 58°F. Wrap up your sightseeing by early afternoon on the 9th (Sun) to allow enough time to travel back home.